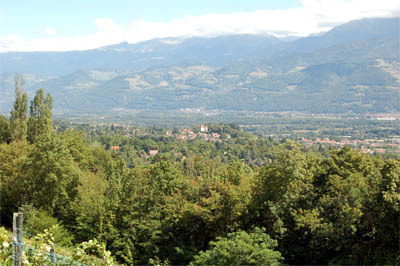 As winner of the Prix de Rome in 1830, Berlioz had to go to Italy to study there, even though for personal and musical reasons he would have preferred to stay in Paris. But the rules required that the winner spend two years in Rome; in the event his stay in Italy was much shorter. 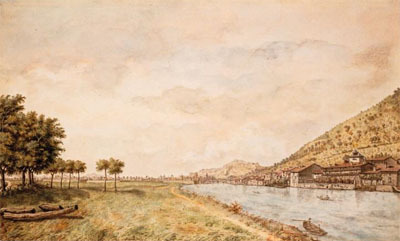 He left France for Rome on 8 February 1831, after a short stay at La Côte Saint-André, and was on his way back to France in May 1832. 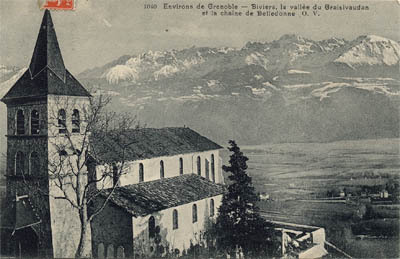 It was on 12th May 1832 [in reality at the end of the month] that I came down Mt Cenis and saw again, clad in its most beautiful spring attire, this delightful Grésivaudan valley through which the Isère winds its course, where I spent the happiest times of my childhood and was moved by the first dreams of love. 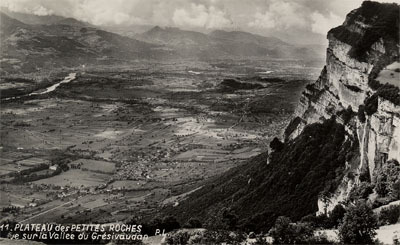 Here is the old rock of Saint-Eynard… Here is the graceful haunt where the Stella montis shone… over there, in this blue mist, my grand-father’s house smiles on me. 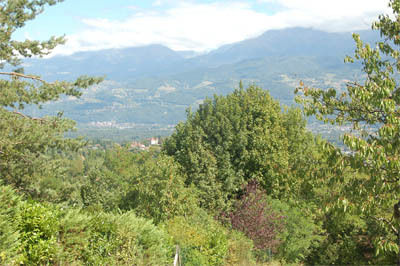 All these villas, this luxuriant greenery… it is delightful, it is beautiful, there is nothing comparable in Italy!… But my joyful impulse was cut short abruptly by a sharp pang I felt in my heart… I thought I could hear the rumble of Paris in the distance. 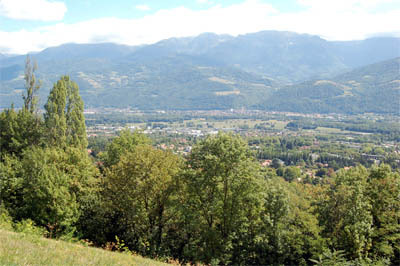 The Grésivaudan Valley is situated at the foot of the Belledonne Range; Meylan faces Belledonne on the other side of the valley. Unless otherwise stated, all the photos on this page were taken by Michel Austin in 2009 and 2011; other pictures have been scanned from postcards and engravings in our own collection. © Monir Tayeb and Michel Austin. All rights of reproduction reserved. 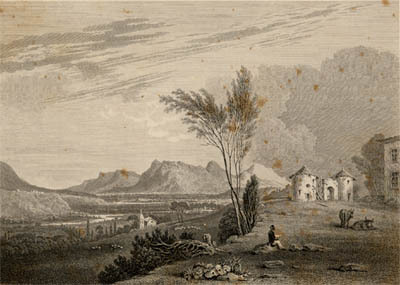 The above engraving shows the view of the valley from the terrace of Château Bayard. The above watercolour is courtesy of the Bibliothèque Nationale de France. 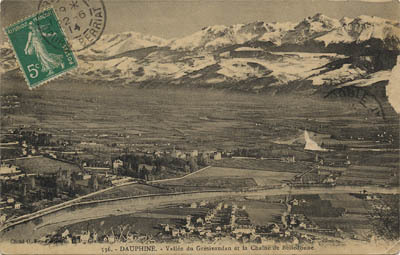 This postcard shows the valley, with the Belledonne range in the distance (see also the following two pictures). 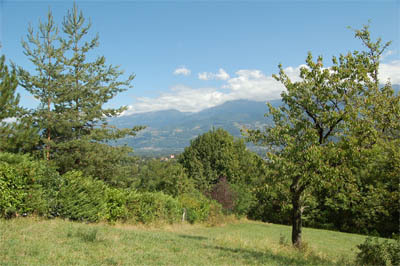 All but the last following photos were taken from around Madame Gautier’s house in Meylan. 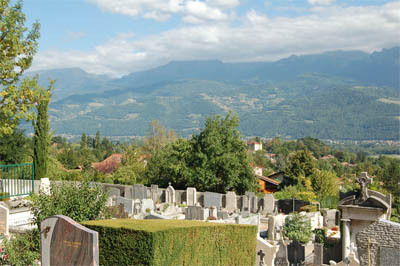 The following photo is a view from the cemetery in Meylan in which Berlioz’s maternal grandfather is buried. Berlioz in Grenoble page created on 11 December 2008; this page created on 15 November 2011.